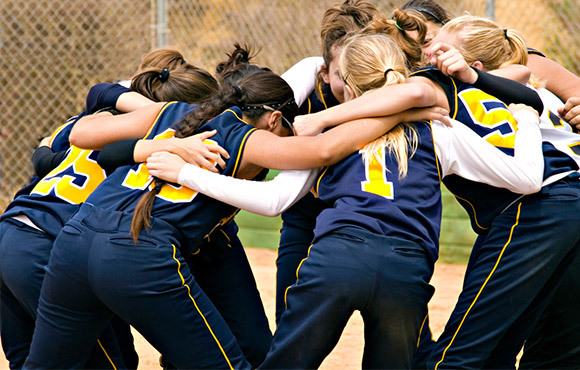 The best sports teams are made up of players who work together and are willing to make sacrifices. A team with unselfish players who support each other will generally perform better than a group of individuals that doesn't play as a team. This is why, in addition to working on individual skills, it's also important to learn how to play with others. 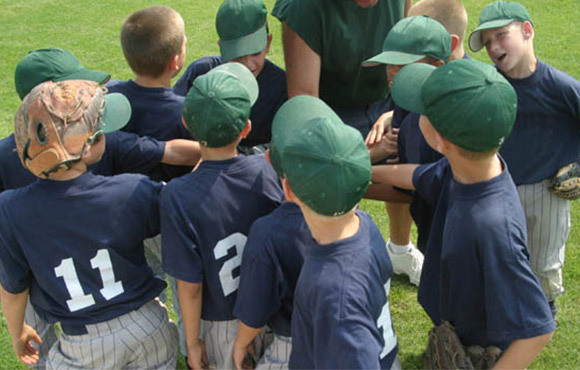 Here are five tips to help kids be a great team player. Be a "We Player" Not a "Me Player"
A "me player" is only concerned with the aspects of the game that affect him or her, such as how many points he or she scores. If the player doesn't benefit from something, then he or she is not going to do it. A "we player" understands that he is part of a team, and is committed to helping the team win, regardless of his individual role. If you're unsure of what type of player you are ask yourself this question, "Would I be happier if I played really well and the team lost, or if I didn't play as well but the team still won?" The answer to this question will determine whether you're a "me player or a "we player". 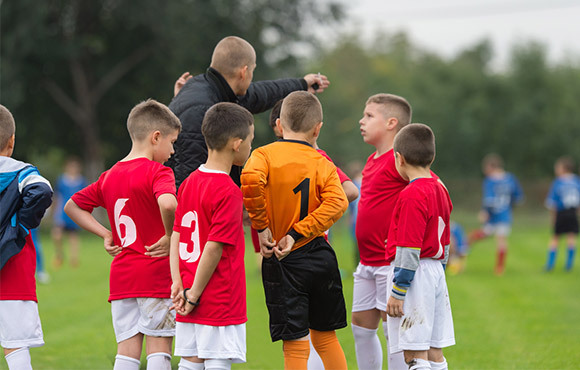 Not every player on your team will be motivated to work hard, and some of your teammates may need some encouragement to practice and get better. 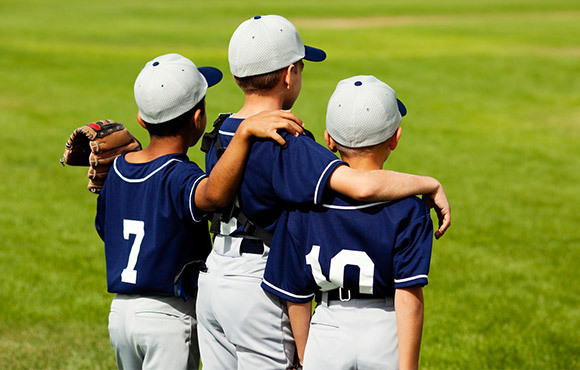 So the next time you go to the gym or the field to work on your game, bring a teammate or two with you. Encourage your teammates to spend time developing their skills. The extra practice will help all of you improve, and working together will help you bond as a team. Not everyone can be the hero all the time. To win games, players must be willing to make sacrifices for the team. In basketball, this might mean diving on the floor after a loose ball; in football this could mean making a great block to help a teammate score. No matter what sport you play, you will need to make certain sacrifices to help your team win. To be a good team player, you need to do the little things that may go unnoticed, in order to help the team. Cheer for your teammates when they make a good play. Even if you're not playing well and feel discouraged, it's important to keep a positive attitude and continue to encourage your teammates. 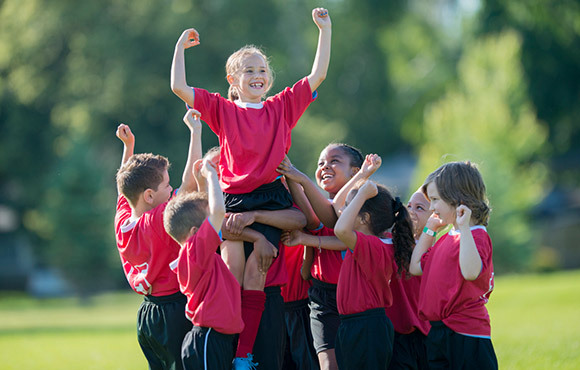 This isn't always easy to do, but it can help boost your team's morale. 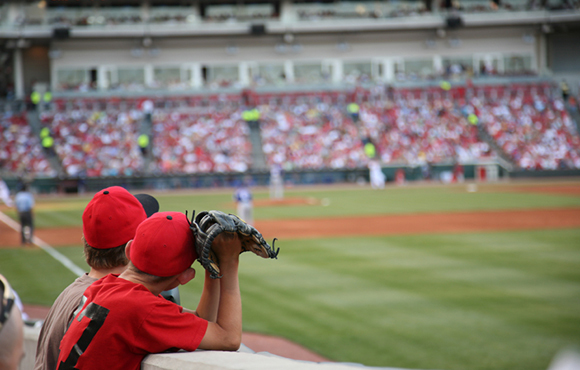 When things go wrong during the season, it's easy to blame someone else. It's very important, however, that you learn to stick together as a team and pick each other up after a loss. No one is ever going to be perfect, especially in sports, and mistakes are inevitable. Learning to overcome a loss and correct mistakes is what makes a team improve over time. A good team player can stay positive, provide encouragement and help the team stick together through tough times.